Homeopathy can be used safely and effectively in every stage of life. I offer a specialised service for people wishing to conceive, for pregnant women and for newborn babies through to childhood. As well as being a homeopath I am also a ‘Foresight’ practitioner. When you combine the Foresight programme with homeopathy you have a powerful tool for optimum health, for both father and mother and baby. Here is some information by ‘Foresight’ you could also log on to their website www.foresight-preconception.org.uk. 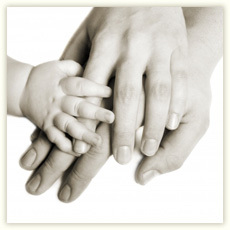 To secure optimum health and nutritional balance in both parents before conception. To instigate research aimed at the identification and removal of potential health hazards to the developing baby. To present the facts and know-how of Pre-conceptual care so that prospective parents will be motivated to choose to actively contribute to their family’s greater health and happiness.